The Yavapai Climate Change Coalition and all of its partners are excited to offer the first-ever Earth Week! So, just plan on being out with others nearly every night of the week, beginning with Earth Day on Saturday, April 20, through April 28, and then join us for the Pete Seeger concert on May 3. Otherwise, how do you choose? Every event has something to offer, something to learn from, something to inspire. From the Earth Day celebration on Cortez St., to films, to youth events, to storytelling, to advice on trash and cooking, to an awards dinner, to the visit and talk of Flagstaff Mayor Coral Evans around local climate action. We hope to see you. 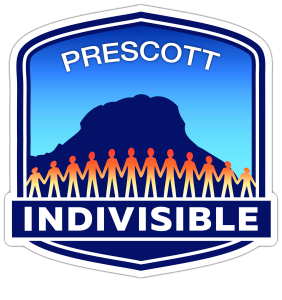 Show your support for the environmental and climate change movement here in the Prescott region! Simply put, the future health of our planet is at stake. Learn what you can do, in solidarity with others, to impact that future.